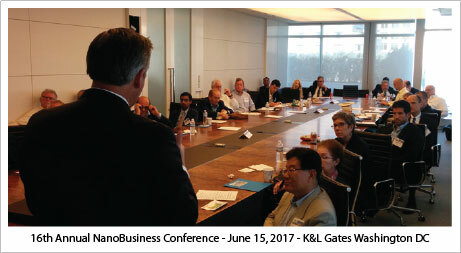 Today, we are excited to announce the NanoBusiness Commercialization Association’s(NanoBCA) return to Washington DC for our 17th Annual NanoBusiness Conference! It has been an honor to serve this unique scientific and engineering community since its inception 17 years ago. It has been a labor of love to see our community continue to grow, with organizations that had no employees 10 years ago expand to have 100 employees today. Steve Waite: It is wonderful to speak with you today, Ping. You have accomplished some great things in your long and distinguished career. Tell us a bit little about your background. Ping Fu: My journey began back in China. I was a maker of things. When I was young I didn’t go through the normal education process. I worked a lot in the factory. SW: How did you end up coming to America? PF: Although I was a maker, I had aspirations of being a journalist in China. I was studying Chinese literature and working on my thesis. I wanted to be a reporter. My journalism clashed with the powers that be. The authorities gave me a choice: I could leave the country or be sent away to a far remote village. I thought leaving would be a better option of the two. SW: I see. Where did you begin your journey when you arrived in America? PF: I started at the University of New Mexico in Albuquerque. I did not speak much English and had to learn the language. I was aiming to study English literature and quickly realized my English language skills were too poor to continue that line of study. I saw that I could study computer science. It was a new field. At the time in the early 1980s, there weren’t any women in the field. I convinced myself that instead of writing essays on Montague, I would instead write code for the future not yet imagined. I got into computers very early. SW: What type of programming did you do back in the day? PF: I started with Basic, then did Fortran and Pascal. When I left the University of New Mexico in 1986, I went to UC San Diego and learned C++ while I was there. I was working with an entrepreneur named Len Sherman. We met one day while I was walking on the beach. He had a software company. He brought me on board to work with him while I was studying outside of UCSD and trying to get into school there. Working with Len was my first exposure to entrepreneurship. SW: So you had the best of both worlds in San Diego, working with an entrepreneur while pursuing a degree in computer science. PF: Yes. Len wanted me to stay with his company. I got an offer to work at Bell Labs in Illinois. That offer came with free education for graduate school. This was in 1988. I saw the offer as a great opportunity. In China, the only company we knew was Bell Labs. I ended up moving to Illinois and working at Bell Labs from 1988 to 1991. I worked on the seven layers of Internet Protocol, ISDN and real-time telephony. This was the early days of digital communications technology, when central switching was transitioning to packet switching. Digital switching is literally distributed computing. Bell Labs couldn’t use the old database. They needed a new relational database. Bell Labs had invented C++ for object-oriented programming. As I mentioned, I had used C++ back in San Diego with Len’s company to do relational database work. I had the exact skillset Bell Labs was looking for at the time. When I got hired by Bell Labs, C++ wasn’t being taught yet. I was among a small group of people that knew how to program in that language. SW: I see. So it was from moving to Bell Labs in Illinois that you ended up working with Larry Smarr and Marc Andreessen at NCSA and becoming immersed in software design. PF: Yes. I got a job at NCSA as Director of Visualization. At that time computer graphics was emerging. I was excited about it. I realized at Bell Labs that what I excelled at was software design and not programming. At the time, software design was not taught in school. I made myself good at it. There’s an artistic and scientific technical aspect to software design that resonates strongly with me. I have always approached software design from thinking about its relevance and how people will use it. It is similar to writing. When you write something, it’s all about the readership. That’s how I approach software design. Design is all about the experience of the user and delivering software that people can use. Software design is where art meets science, and that is one of the reasons I went to NCSA. I love the creativity and rigor associated with software design. They go hand in hand. SW: What were some of the major accomplishments of you and your talented colleagues at NCSA? PF: The first project I got to work on at NCSA was Terminator 2: Judgment Day. I was really excited about working on this project. I was willing to work on this without being paid. In fact, I took a big pay cut from Bell Labs to work at NCSA, but I was very excited about the opportunity to work on projects like Terminator 2: Judgment Day. We also did pioneering work in distributed computing. The two major technologies to emerge from our work distributive computing at NCSA were the Mosaic browser that evolved into Netscape, Internet Explorer and Firefox, and HTTP Server. The software developed at NCSA was a true team effort that came out of the interdisciplinary, collective intelligence culture that Larry Smarr cultivated at NCSA. SW: Those were indeed major accomplishments! Congratulations on some fine work with some first-rate computer science minds. As interesting and rewarding as the work was at NCSA, you had more entrepreneurial things to accomplish in your career. Tell us about the opportunity you saw when you founded Geomagic. PF: When Marc Andreessen and a few others started Netscape, I went to Hong Kong to help deploy a mini supercomputing center before Hong Kong went back to China. While I was there, I ended up helping some people start Hong Kong Supernet, which became the largest internet provider in Southeast Asia. When I returned to the U.S., Netscape went public and the University of Illinois got energized by what was going on and began bringing in venture capitalists and business development people to look for the next killer app. I had a baby at the time and wanted to be a mother. What happened is that I saw a demo of a 3D printer from 3D Systems. I was hooked instantly because of my makers background. I was fascinated by a machine being able to print something out. In speaking with the people at 3D Systems, I realized there wasn’t any good software developed for a 3D printer. There was CAD software, but there were difficulties interoperating with a 3D printer. I saw a major opportunity to design software for 3D printers and founded Geomagic to pursue the opportunity. Through some research, I discovered that there were hundreds of 3D scanners that didn’t have good software. I had the idea of writing software that connected 3D scanners with 3D printers. I thought this could be real breakthrough. It was one of those “Ah ha!” moments. I also had the idea of a 3D Facsimile machine. SW: That sounds like the Replicator technology on Star Trek: The Next Generation. PF: (laughing) Yes! That’s how I pitched the technology. SW: At a time when the world is going dot.com, you begin doing pioneering 3D design software development at Geomagic that ultimately leads back to 3D Systems through an acquisition in 2012. Fascinating how things work out. All of your hard work at Geomagic has brought us to an exciting juncture with 3D printing. PF: Yes. It has been an interesting journey. At the time I started Geomagic, I had no idea how difficult it would be to do what I envisioned. We have come a long way and I’m excited about where things are going. SW: There is plenty to be excited about today with respect to 3D printing. What innovative 3D software design technologies look intriguing to you today? PF: I am very excited about two things. One is the concept of ‘resilience design’ versus ‘robust design.’ Resilience design is not about designing something that never fails, but designing with known failure characteristics that can be repaired very quickly. With this type of design process, you confront failure head on and incorporate it into the design. You anticipate failure and seek ways to rapidly address the failures. I view this as more of a modern design concept. It was used, for example, with the San Francisco Bay Bridge design. We are incorporating resilience design in The Long Now Foundation, which is led by Stewart Brand. When you think about it, the 3D printing process itself is the ultimate resilience design. The other thing I’m really excited about is machine learning, which I think of as interchangeable with Artificial Intelligence. I think the intersection of machine learning with human learning is an exciting area. We can outsource part of our brain to machines, which perform certain functions better than humans. This frees up humans to do things that machines aren’t good at doing. Imagine how much better the design will be. Right now we stuff our brains with a lot of things that are tedious and we don’t particularly enjoy doing. Machines can do these types of things. They don’t care. We know that if you talk to the best designers they will say, if you let me design once, I will give you a good design. If you allow me to iterate ten times, I will not only give you a great design, I will also make it cheaper and better. With machine learning technology, we get speed and scale, which are important from a design perspective. Machines can present to us different designs and handle all of the tedious stuff very quickly and free up human creative time to create better designs. I’m very excited about this. SW: We are too, Ping! We look forward to listening to you speak more about this topic at the upcoming COFES event. Thank you very much for your time today. It has been wonderful spending time with you. Steve Waite: It is terrific to speak with you today, Mark. You have a lot of experience in technology. Tell us about your background. Mark Papermaster: I’ve been very fortunate because I have had a chance to be a part of a very exciting time in the industry. I started with IBM in the early 1980s in the mainframe era during the time of transition from microcomputers to personal computers. While I was at IBM I had a chance to work on the NASA Space Shuttle program. I also got to work on chip design. Many years later, Steve Jobs recruited me to Apple to run iPod and iPhone development which I did for a couple of years. It was an exciting time at Apple. We were innovating at an extremely high level. SW: You certainly were! I had never seen anything like it. The level of innovation was astonishing during that period. MP: We were designing new electronics, new industrial design, new user interfaces, adding FaceTime, instant messaging capability, adding cameras. It was a time of massive innovation. It was a phenomenal experience! SW: I can only imagine. You went to Cisco after Apple, correct? MP: Yes. I was at Cisco for a brief period after Apple. I ran all of its switching and routing technology. My experience at IBM, Apple and Cisco gave me an opportunity to work on just about every aspect of products that AMD serves with its technology. SW: You were getting the experience you needed for the ultimate job as CTO of AMD. MP: In retrospect, yes. But it certainly wasn’t planned that way. That is just how things worked out. One of the Board members at AMD who was the former head of R&D at IBM, Nick Donofrio, recruited me. He knew me well from our days at IBM. Nick took the lead to recruit me to be the CTO and run Technology and Engineering at AMD. At the time, people had written off AMD. They said the company was a great technology company, but competitors had passed it by. I looked at the company. I had worked with it over the years and was a customer. I knew it to be a great company of innovation with great engineers. Historically, it had not been able to consistently drive that innovation to market. I viewed the offer from AMD as a phenomenal opportunity to make a difference in the industry. SW: Tell us about your current role as the company’s CTO. MP: There’s a major opportunity today to harness the data explosion with AI, Machine Learning and Big Data analytics on the one side, and with AR and VR on the other – to be able to visualize and manage the data while fundamentally changing how we as humans’ interface with computing technology. One of my strengths is being able to pull bright people together with a focused game plan and make a difference by repeatedly driving technology with leadership in the market. When you can do this, it is a beautiful thing. It is truly an exciting time at AMD. We launched a new line of products in 2017 from top to bottom. We have a very strong roadmap behind it. SW: That is wonderful to hear. Speaking of a roadmap, Moore’s Law has been a driving force of innovation over the forty years in the industry. What is your perspective on Moore’s Law and the future development of microprocessors? MP: We are shipping the AMD “Zen” processor core today with 14 nanometer FinFET for PCs, servers and embedded devices, as well as graphics. Our next generation is 7 nanometers. We skipped 10 nanometers because we wanted a step-wise progression of density. At 7 nanometers, we can practically double the number of transistors on a chip. Our first 7 nanometer designs are in build now and we expect them to be available for sampling at the end of this year and go into production in 2019. SW: Very good! Looking ahead, how much more performance can we get out of silicon? MP: The technology nodes are slowing down as we go from 14 to 7 and below 7 nanometers. But this doesn’t mean that Moore’s Law is dead. We are entering a period that I call Moore’s Law Plus. It is not just the device transistor. You still need the new process technology node. The key is how you put it together. At AMD we are looking at how we think about it from a system standpoint. For example, thinking not just about CPUs, but CPUs with accelerators, and specifically leveraging the GPU as an accelerator. That is, we are exploring the ability to integrate solutions to the system level – hardware and software. One of the strengths we have at AMD is we can be more agile than others. If you look at our new CPU products, you will see we already have a multi-chip approach. When you look at AMD Radeon™ graphics, our high-performance graphics processor line that is based on our current “Vega” architecture, it is using stacked memory on a silicon-to-silicon connector. The GPU connects to the memory over silicon. It is called 2.5D packaging. With this type of thinking at a systems level, even when Moore’s Law slows down, we can integrate devices in a novel way so that AMD can economically bring performance to its customers in the future. SW: I see. That approach makes a lot of sense. Are there any other materials beside silicon on the AMD roadmap? MP: From a new materials standpoint, there is a lot of innovation coming through the fabs. AMD is a fabless company. The 7-nanometer technology uses some new materials as well as new lithography. At this node we will see foundries beginning to use EUV or Extreme Ultra Violet lithography. On the near term, as a fabless company, we are really focused on leveraging the best technologies that are in the fabs. More importantly, we are focused on driving the system design to bring better solutions to our customers and to provide leadership in high performance, both compute and visualization. SW: We are seeing a lot of interest in AR and VR, as well as AI and Machine Learning these days. What’s your perspective on these emerging technologies? MP: To me, AR and VR really represent a revolution and how we as individuals interface with computing. AR and VR change our interaction to an immersive environment. That can only be enabled with a very, very high performance and low latency device. Otherwise, you get an imperfect experience. Your body cannot be fooled by imperfection. If it sees lags, if it sees any drop in that interaction, immediately your brain realizes you are not in a virtual reality. You are in a manufactured, simulated experience that seems fake versus truly being immersed and transported. For us at AMD, this is a phenomenal opportunity. This is what we do. This is what drives our engineers. They have a passion to create that kind of performance, not only in visualization through the graphics processing engine, but through our whole multimedia stack driving our codecs, driving very efficient translation to the standards for transmission and compression. Figuring out how we wirelessly bring that from a headset to a computer that is doing the heavy lifting, to our PC and Workstation-based computing, this type of thing is a grand challenge for the engineers at AMD and one they are taking head on. SW: Excellent! Very exciting stuff, Mark. What about AI and Machine Learning? What’s your perspective on these emerging technologies? MP: You look at AI and Machine Learning. It has the potential to really make use of all the data being generated today. We are all surrounded by sensors. We have all heard the projections of 50 billion connected devices by 2020, and it certainly seems to be on that pace. AI and Machine Learning become a requirement to actually utilize all of that data. It also requires high performance. If you want to take all that data, categorize and classify it, and make it useful, you end up having to run teraflops upon teraflops of training, typically at a data center level, to be able to create the patterns that allow you to tackle new data very efficiently. Now that you have trained that data, then you can much more efficiently run inference on any new data as it comes in. Typically for training, this all requires devices like GPUs. Our GPUs are excellent at providing the kind of teraflops required for training. At the edge of the network, and in the actual interference devices, it is typically a CPU, GPU or a specialized device. AI and Machine Learning are great for the semiconductor industry. It needs high performance and it needs enabling software. At AMD, we have the high-performance hardware. What is exciting for us is that at the start of this year we announced production-level for machine intelligence software enablement, called ROCm 1.7, or Radeon Open Ecosystem. And we have done this open source. We also created GPUOpen. You can go to gpuopen.com and look at this initiative. SW: So open source software is now part of AMD’s innovation engine. That seems like an important shift for the company. MP: AMD has always appreciated the importance of software, and we are long-time supporters of open source and industry standards. The company has a rich history in visualization. We have always had a huge team working on driver development. What we learned a long time ago is that you have to provide the graphics engine, but it is the device drivers that really bring the ongoing performance improvements and the adaptation required to evolve. Machine Learning is a great example of this. Our competitor had a lead on the software for machine intelligence. We had to come from behind. Over the last three years we made a concerted effort to get to production level with that enablement. We have added our staffing at a higher rate for software engineers versus hardware engineers given the demand we are seeing associated with AI and Machine Learning technologies, as well as AR and VR applications. SW: What’s your perspective on blockchain as a disruptive technology? MP: Blockchain, by its very nature, is a distributed ledger system. It has a huge range of applications. Cryptocurrency is just one. I think blockchain truly has the potential to disrupt any industry where you have contracts and payment systems that today have a middle layer. Blockchain is able to eliminate the middleperson. From a technology standpoint, blockchain requires high performance compute because, as a distributive system, you need to validate those transactions across the network. There is a proof algorithm that needs to be run which, yet again, requires a CPU, GPU or a specialized device. The blockchain drives up the demand for compute efficiency. I see blockchain as another mega trend along with AR, VR, AI and Machine Learning with the ability to disrupt and yet is dependent on very efficient, high performance computing. SW: I have one last question for you, Mark. What advice would you give to the younger generation of tech entrepreneurs coming up today? MP: The biggest advice is to follow your passion. When you have a passion for an area of technology or an application, you are a driving force and can focus on where you want it to be better. You want to get better products out that can make a difference in people’s lives and in the industry. You cannot have a better motivator for innovation for yourself or for teams you work with than having passion for what you do. SW: Terrific advice, Mark! It has been wonderful spending time with you today. Thank you again for your time. 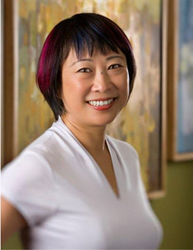 We look forward to listening to you speak at the upcoming COFES event. All the best with your endeavors at AMD. You are currently browsing the Evolving Innovations weblog archives for April, 2018.